Hotel Lakshmi Palace is a modern property with soothing rooms, located in A block, Mahipalpur, in Delhi. This hotel is close to Mahipalpur Aerocity (Drop) Bus Stop, Delhi AeroCity Metro Station, Rose Garden and Aravalli Biodiversity Park. The hotel has a spacious lobby and living area, and the hallways and bright and cheerful. 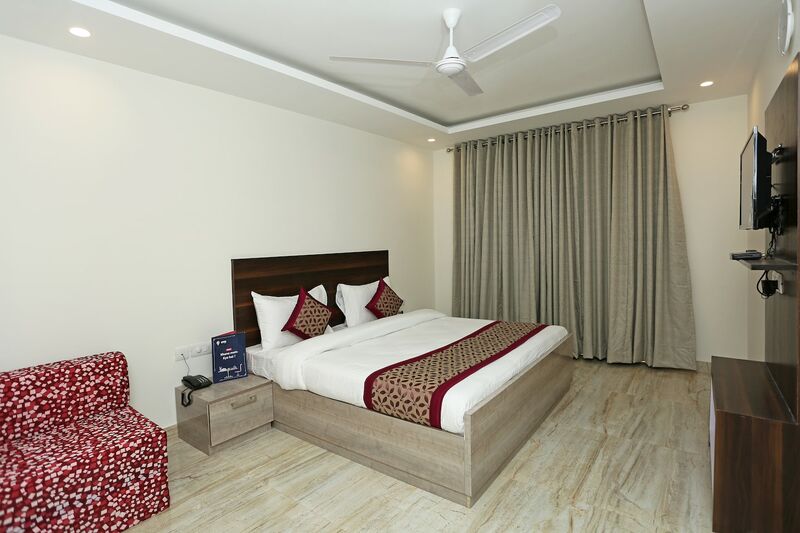 The rooms are comfortably furnished and done up in soothing tones. The bathrooms are hygienic and nicely tiled and fitted with modern fixtures. Rooms here come with AC, TV, and free WiFi. The bathrooms have geysers. The hotel has a parking area, power backup, CCTV cameras, card payment facility, and offer laundry services. The restaurants that are close to the hotel include Resto 37, Spice It - Ibis New Delhi, The Hangar - Bar & Lounge - Holiday Inn and Cafe Pride - Pride Plaza Hotel.